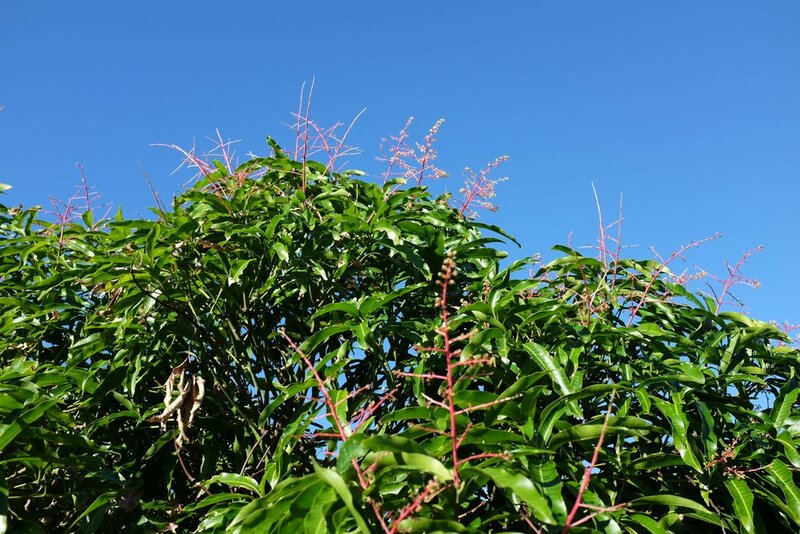 There are flowers and a few baby mangos on our 'Rosa' tree! Although 'Rosa' is always our first mango of the season, this is even earlier than ever before. As long as the weather cooperates, we could have a few 'Rosa' mangos in January or February of 2018! One other tree in the grove, 'Tess Pollock' is also flowering. Check out our newest YouTube video for more about these early mango blooms!